Dr. Edward Tunstel is an Associate Director of Robotics and Robotics Group Leader in the Autonomous & Intelligent Systems United Technologies Research Center (UTRC). He joined UTRC in 2017 after 10 years at Johns Hopkins Applied Physics Laboratory where he served as a senior roboticist in its research department and Intelligent Systems Center, and as space robotics & autonomous control lead in its space department. Prior to APL he was with the NASA Jet Propulsion Laboratory (JPL) for 18 years, where he was a senior robotics engineer and group leader of its Advanced Robotic Controls Group. He earned his bachelor's and master's degrees in mechanical engineering from Howard University and the Ph.D. in electrical engineering from the University of New Mexico. Dr. Tunstel maintains expertise in robotics and intelligent systems with current research interests in mobile robot navigation, autonomous control, cooperative robotics, robotic systems engineering, and soft computing applications to autonomous systems. He has authored over 150 technical publications and co-edited four books in these areas. At JPL, he worked on the NASA Mars Exploration Rovers mission as both a flight systems engineer responsible for autonomous rover navigation, and as rover engineering team lead for the mobility and robotic arm subsystems. He was involved in the daily performance assessment, planning, and operations of the Spirit and Opportunity rovers during their first four years on Mars and in early stages of the later Curiosity Mars rover design. At APL he was recently engaged in modular open systems development efforts supporting advanced explosive ordnance disposal robotic systems programs, as well as robotics and autonomy research for future national security and space applications. At UTRC, he is now additionally engaged in human-collaborative robotics enabling applications relevant to businesses spanning the aerospace and building industries, including manufacturing. Dr. Tunstel is a Fellow of the IEEE and President of the IEEE Systems, Man, and Cybernetics Society (2018-2019). 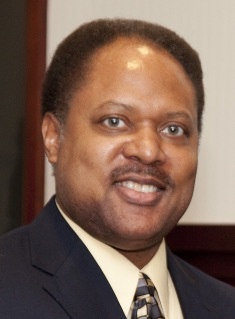 He is also a member of the IEEE Robotics and Automation Society, NSBE Professionals, and AIAA. He serves on editorial boards of several international engineering journals and interacts with academia through research collaborations, as graduate student co-advisor, and as a member of several master’s thesis and doctoral dissertation committees. Recent recognition of his accomplishments include the Lifetime Achievement in Aerospace Award from the NSBE Professionals’ Space Special Interest Group and an Honorary Professor Award from Obuda University in Budapest, Hungary in 2018.